I’m heading off to WorldCon this morning. I haven’t been since 2000 in Chicago, mostly because of the kids and the difficulty of travelling. Now, of course, the kids are older, and this year it’s just down the road in San Antonio. I’m definitely looking forward to it, but at the same time, I have to admit I’m a little disappointed in the programming. You see, in all my years of going to SF/F conventions, I’ve often attended the writer-centric panels. They tended to be split between the craft itself and a dozen different ways of asking the question, “How do I get published?” I’m still interested in the panels discussing the craft of writing, but I’m no longer interested in the panels on getting published. I chose to go indie, so I’m not particularly interested in tips on crafting an agent query letter. But I figured that with self-publishing (or indie publishing as the cool kids say) on the rise, there would be some panels talking about that. Well, no, it turns out there aren’t any. The closest it comes is what looks to be a defense of traditional publishing with all the agents, editors, and publishers holding the line and a separate discussion on the transition from print books to e-books, though not about the business changes that represents. 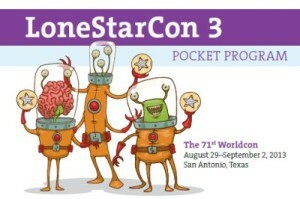 Apparently, whoever did the programming for this year’s WorldCon didn’t get the memo. I can’t entirely blame them though. Most of their main guests and headliners come from the ranks of traditional publishing. This is sure to affect their mindset. Then again, with the commercial success of Wool, it might not be that long before an indie shows up on the fan-based Hugo ballot. Still, there’s plenty to see and do, so I’m looking forward to it. As for the rest of the writing, August was something of a crap-fest, particularly towards the end. I have special needs children, and their needs became, well… extra special this month. The last Friday before school, we put two and two together and have made a change to one of the medications, and that is already paying some dividends. And of course, they’re now officially back in school, granting me hours of kid-free time each day to do productive work. Shattered: Draft done and lying fallow for the next few months. Stone Killer: I’m about 40% of the way through at 32,000 words. I’m hoping to wrap it up sometime in September. Hell Bent: I’m still waiting on the rest of my beta feedback. I’ve gotten three out of the six so far, and while it’s generally been good, I’ve got a pacing problem in the first third that I haven’t figured out how to fix yet. Debts of My Fathers: It’s still in edits. I found this particularly hard to work on with the kids home in summer. Drafting new words was easier by comparison, because I could do that on my laptop. In fact, much of the new text for Shattered and Stone Killer was written in the early morning, down in the kitchen, while I cooked large batches of my picky son’s favorite food. Alas, I have to edit in my office where I can spread out with my printed copy and hand-written notes. Long-story short: I did not get much good editing time in my office this summer. Oaths of My Fathers: It’s still in pre-draft limbo. I will attempt to get started on it once I had Debts of My Fathers off to the beta readers, and I will want to finish it before I send Debts to the copyeditor. You may note that I left the dates off those. Well, they’ve slipped since my original estimates in June – I’m just not sure how much yet. Debts of My Fathers is the priority since I have readers asking for it, and I still hope to get that out around the end of the year or the beginning of 2014. Hell Bent, which is actually further along will very likely wait until after Debts of My Fathers is out the door. As one friend recently said, I’ve primed the pump for chocolate, so I need to deliver more chocolate before I send out the mint. 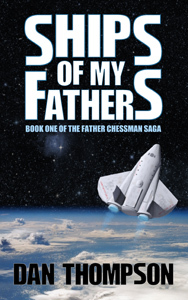 I did a free Kindle promotion for Ships of My Fathers last week, and it was fairly successful. Worldwide, a little over a thousand folks downloaded it. It seems a number of you enjoyed it and told your friends, and some of them are now buying it. Yay! Thank you. Also, it seems a few of you have followed the links in the book and ended up here at my blog. Welcome. I tend to blog about three times a week. Sometimes more, sometimes less. On Mondays, I usually write an essay relating to the genres I read and write, though sometimes you’ll just get some update on what’s happening in my life. On Wednesdays, I try to write something about writing and publishing. I’m not really trying to build an audience of writers, so I try to pick topics that might also interest readers. And on Fridays I post a review of a book or a movie. Random events intrude, so the schedule is a goal, not a guarantee. If you are another writer wanting to talk about writing, I’m fairly active in the writing communities on Google+, and I encourage you to look me up there. A couple of weeks back, I laid out my writing projects for the summer, so I thought I’d give a few updates on those. 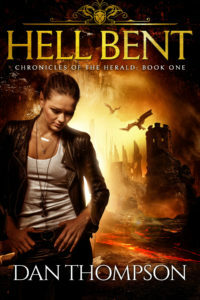 Hell Bent: It is still with the beta readers. A few of them have finished their first pass but are going through it a second time before giving me their detailed feedback. It will be another week or two before I start gathering that stuff up, but the initial reactions sounded good. I hope to do the post-beta edits in August and get it to my copyeditor in September. Publication is still slated for November. 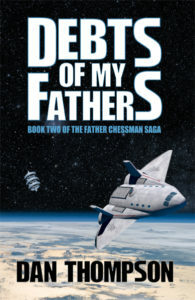 Debts of My Fathers: This is the sequel to Ships of My Fathers. I have now made my initial red-line edit pass over the printed document. I’ll start integrating those changes into the document over the next week. I hope to get it to my beta readers sometime in August. Publication is still slated for December or January. Of course, given my series goal of drafting book N+1 before publishing book N, I will need to draft book 3, Oaths of My Fathers, sometime in the fall. 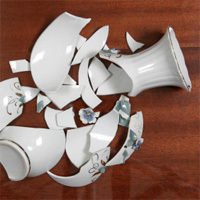 Shattered: Contrary to my theme of “making it up as I go”, I actually did something of an outline for this one. It ended up being a 5000 word summary of events. In some ways it has been helpful. Given that I’ve never attempted this genre, it was useful to lay out the order of events. That way, I’ll know all the pieces are in place before the big reveal. On the other hand, now that I’ve begun the actual text of the narrative, I’m already seeing ways in which I want to change some of those pieces. In fact, I’m feeling a strong desire to set aside the ongoing text and go back to edit the outline, and that sounds like it could be an unending task with no real progress going forward. Also, the mere existence of the outline is sapping my energy to write the book, since in some ways I’ve already spent the driving need to tell the story. So, for the moment, I’m doing my best to forget that I ever wrote the damned outline in the first place and only referring back to it for some of the research that I embedded into it. I hope to wrap this up by the end of July, but I’m already behind schedule. Stone Killer: This is the sequel to Hell Bent. It’s still in pre-draft limbo. I like to think of it as sitting on the back burner of the stove as I add little ideas here and there. This one is taking shape in my more traditional fashion, sans outline. I know how it starts, and I know how it ends. I’m just plotting a few waypoints in between to help me go in the right direction. I hope to start drafting this in August. That’s it for now. The narrative calls, so I’m heading back into the word-mines. I thought I’d take a few minutes to update you about what I’m working on this summer. Hell Bent is officially in beta. I handed it off to the bulk of the beta readers in the last few days, and I’m working out a handoff for the last one today. Hopefully I’ll get all that feedback by mid/late July and then do my edits in August. If I can get it to the copy editor in the September time frame, I might manage to publish it in November. Debts of My Fathers (the sequel to Ships of My Fathers) is still in pre-edit limbo. I have the printout ready and waiting, but I haven’t looked at it since I wrapped it up last November. I will very likely do my initial edits to it this summer with an eye towards getting it to beta readers in the early fall. Publication is targeted for around New Years, but at this point, it’s hard to nail it down. But for now, I’m starting to draft new work. In fact, I’m planning to draft two new novels this summer, if time and brain allows. My goal is to draft two new novels this year, with some hope of stretching that to three, and here I am with the year almost half-gone and not a single one written. Time to dig in. The first one, tentatively titled Shattered, is quite the departure for me and might actually be a throw-away novel. Why? It’s a mystery, something I’ve never written before. Then why am I writing it, especially now when I should be trying to establish a rhythm in my publishing career? A couple of reasons. First, my mother is not a sci-fi or urban fantasy fan, and she keeps asking when I’m going to write something she can read. Well, I’m going to indulge her and try to write a mystery. But the other reason is that a number of SF writers recommend that every writer should write a mystery at some point in their career, the earlier the better. Apparently, there’s something to be learned from the way a good mystery lays everything out and yet keeps the reading from seeing the resolution until the characters wrap it up all together. I’m also going to try a few experiments with additional prep work. I won’t say I’m going as far as the dreaded outline, but I’m at least laying down a few details before I type “Chapter 1”. The second book I hope to draft this summer is the sequel to Hell Bent, tentatively titled Stone Killer. My general goal in writing series is to draft the sequel before publishing the first, or to generalize it, draft N+1 before publishing N. I figure that improves my odds of fixing continuity problems before they go to print since it allows me to spot a problem in N+1 and fix it in N before it’s too late. So, since I hope to hand off Hell Bent to the copy editor around September, that means I’ll want to draft Stone Killer before that. But if you do the math, you’ll see that’s drafting two full novels in the next two and a half months. 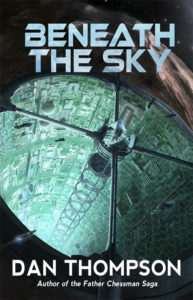 Even considering that one of them is a mystery (typically a little shorter, targeting 65-75,000), the total for both novels will be in the range of 140-160,000 words. That’s about three NaNoWriMo’s worth in less than three months, while also trying to wrap up edits to Hell Bent and making my initial edits to Debts of My Fathers. I honestly don’t know if I can do it, but that’s what I’m aiming for.